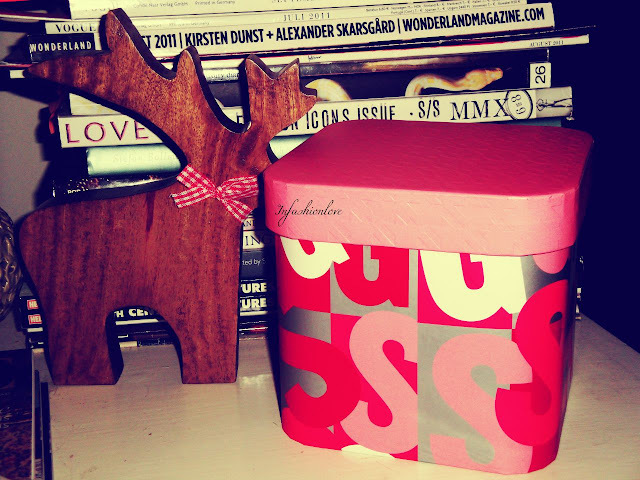 INFASHIONLOVE.COM: Gift Guide 2012: Soap & Glory Small Wonders Gift Set! 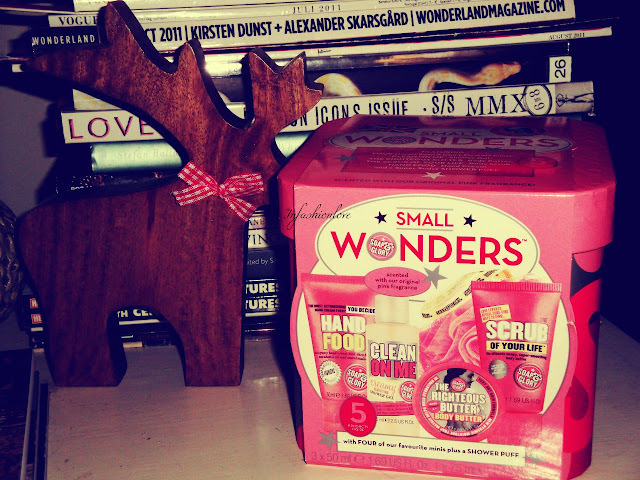 Gift Guide 2012: Soap & Glory Small Wonders Gift Set! Being a huge Soap & Glory fan I couldn't not include their gift set! The box alone looks pretty cool, I am definitely keeping it as storage for bits and bobs... Inside you get 5 products! Four of their classic products in a mini version, the Clean on Me Shower Gel [which is lovely btw, I went through two full size bottles], The Righteous Butter Body Butter [yet to try but smth tells me I'll love it too], The Scrub of your Life Body Scrub [I tried couple of their scrubs and sofar Flake Away is one of my all time favourite body scrubs(! ), so I'm really looking forward to try this one as well], and Hand Food Hand Cream [currently I have a full size tube and absolutely adore it(!) this mini will be great when on the go] - all four scented with their Original Pink fragrance, which is absolutely lovely and super addictive + you get the Shower Puff!